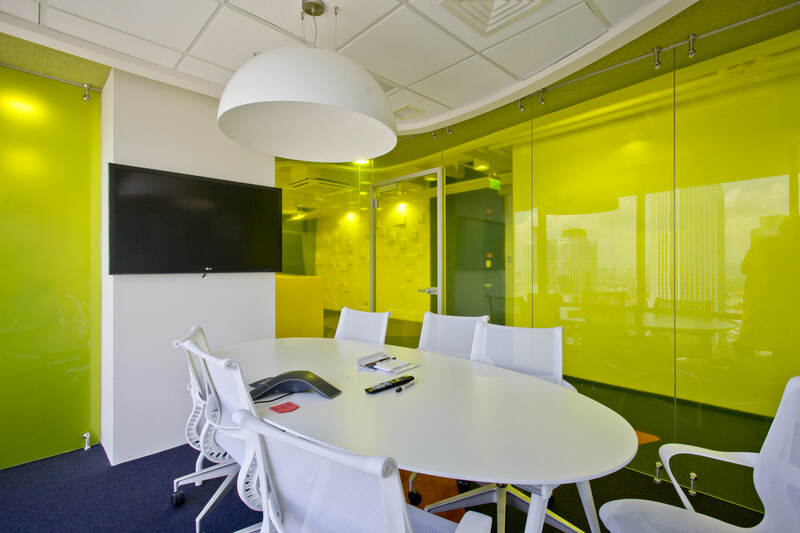 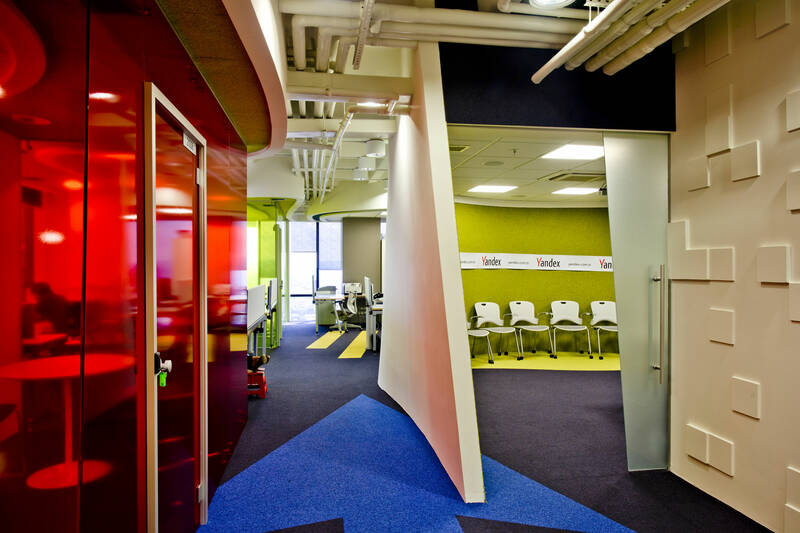 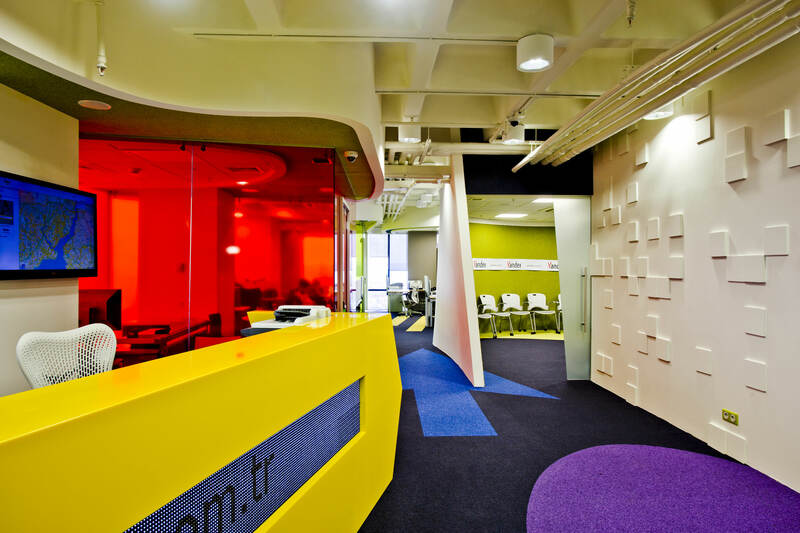 Coloured smoked glass of the separation walls and bright carpet panels have become key visual dominants of this office. 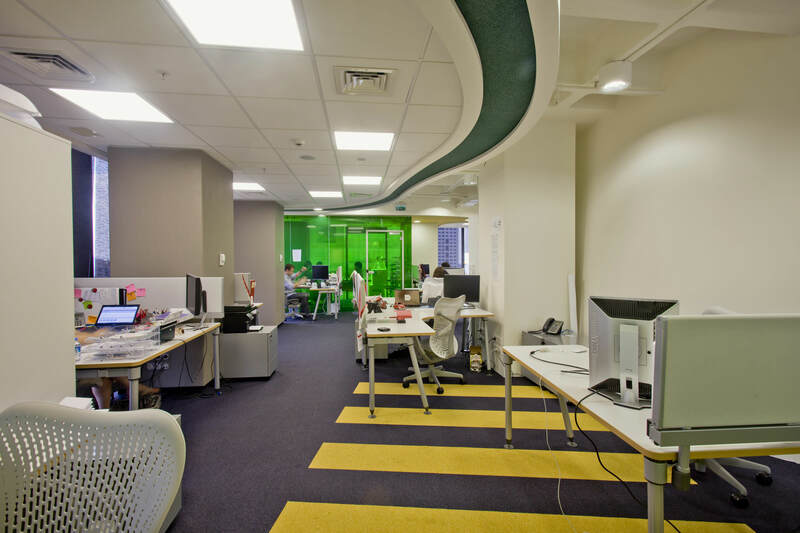 Carpet panels can be seen not only on the floor, but also on effectively winding surfaces of the white ceiling. 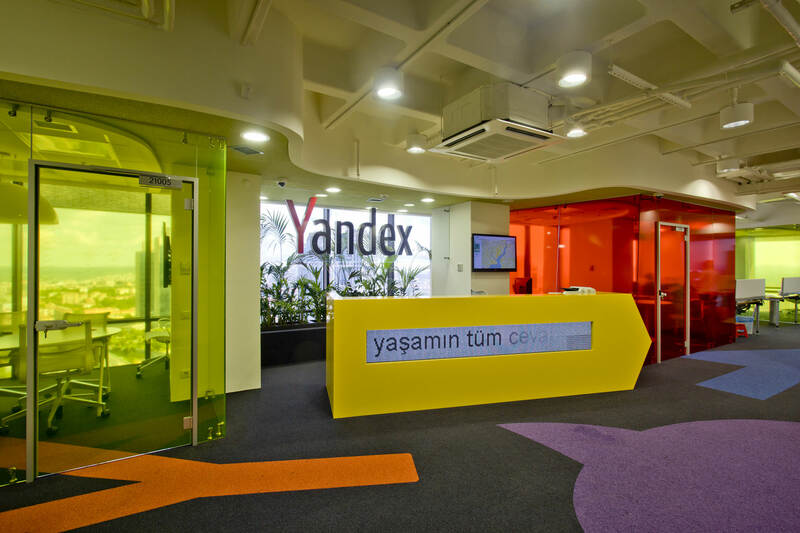 Many of these details are made with recognizable Yandex search services icons, which have been scaled to human size. 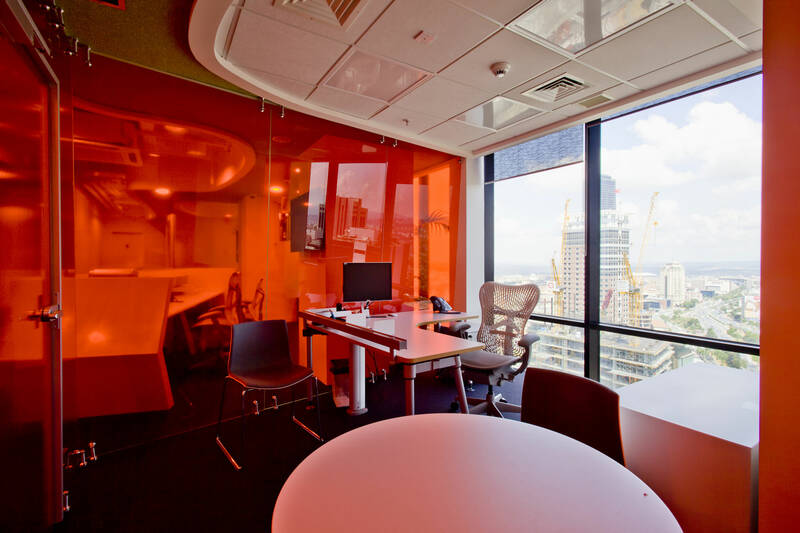 The office plan is a rectangle, on front of it there are a lift hall and an emergency exit. 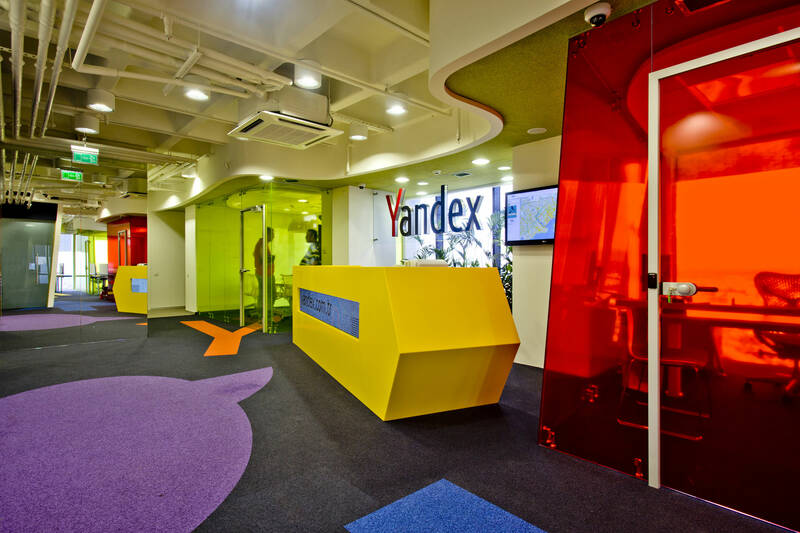 The reception desk in the shape of an arrow (one of informal symbols of Yandex) welcomes guests of the office. 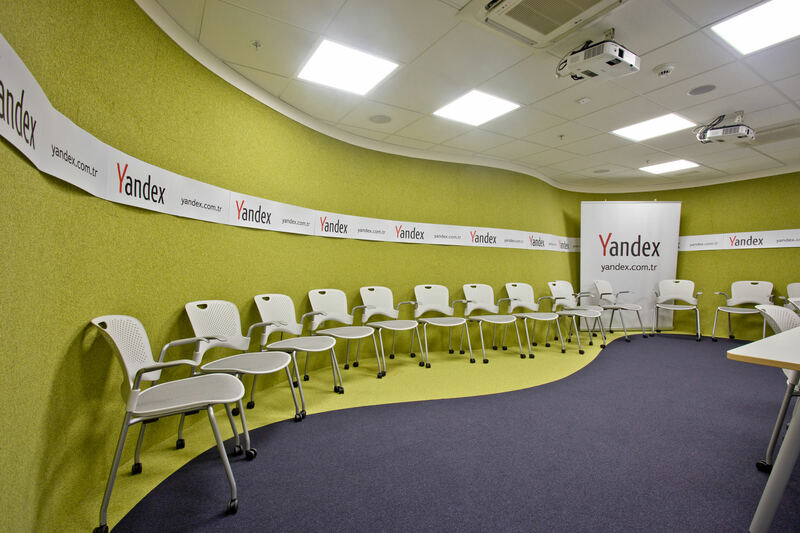 It is interesting, that an LCD display is mounted in the desk and it shows real time search queries, which are being made in yandex.com.tr.